The board construction is double wall construction. Quite simply, this is the best inflatable SUP construction available on the market with an incredible stiffness throught weight ratio. Multilayer construction makes board extremly solid and durable. 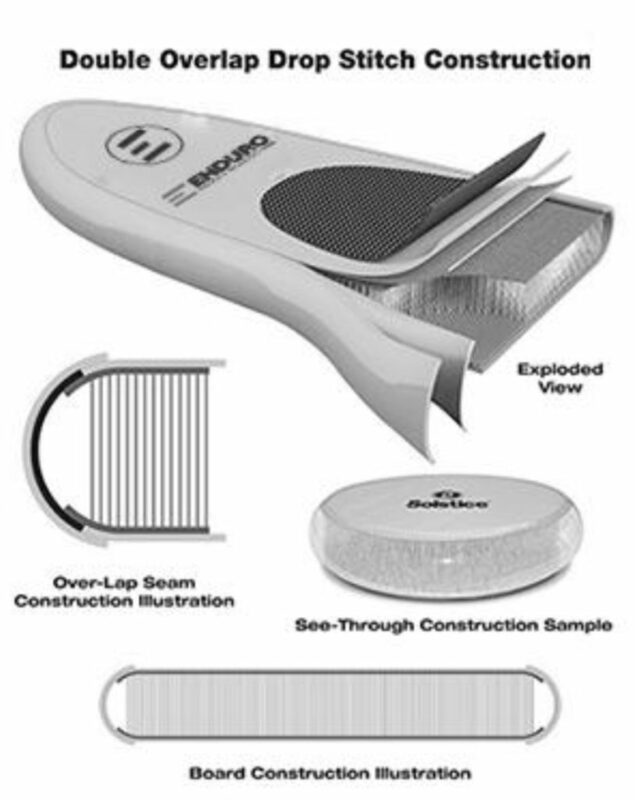 Enduro paddleboards have two different fin constructions. First system called „US fin“ is primary system of Enduro paddleboards available for all boards. In this case fin is removable and could be replaced with another fin (other shape, size,…). 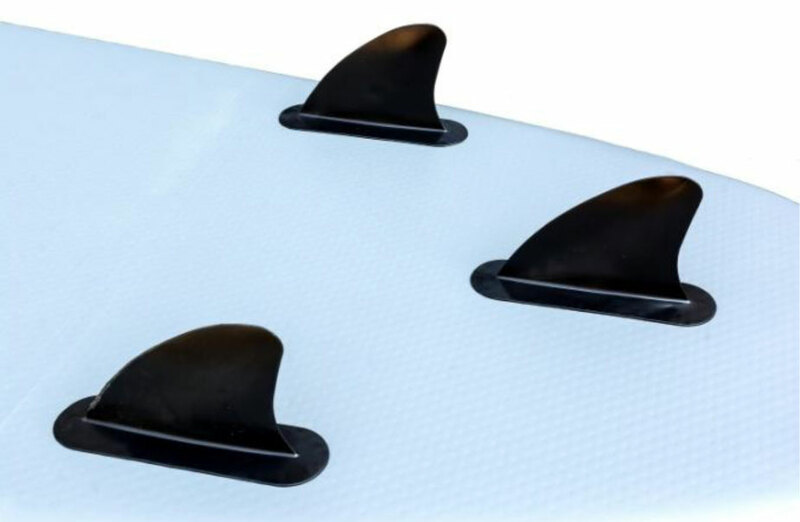 Second system called „River fin“ is made by three permanently fixed flexible fins. Second type is available only for Enduro Pier 10’8″ and Enduro Freeride 10’6″ yet. All paddleboards are supplied with bag for easy handling and pump. 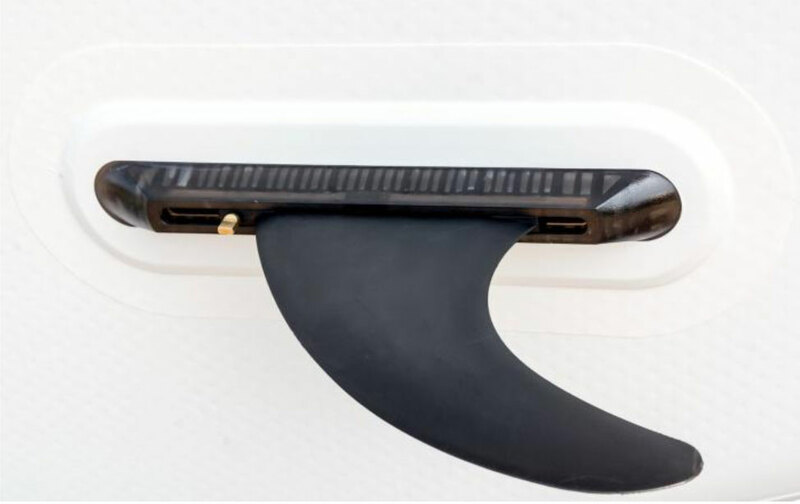 Double action pump, which goes with paddleboard allows two modes. „Double inflate mode“ allows ENDURO SPEED 12’6″ (GREY COLOUR) fast inflate of paddleboard and „single mode“ allows to inflate easily end of inflating at high pressure. Soft EVA layer on upper side of board makes ride comfortable. Recommended pressure 15 psi is sufficient to achieve optimal drive ability. Pressure makes solid board from roll inside paddleboard bag.